The «Tian En» on September 5th arrived in French port of Rouen. 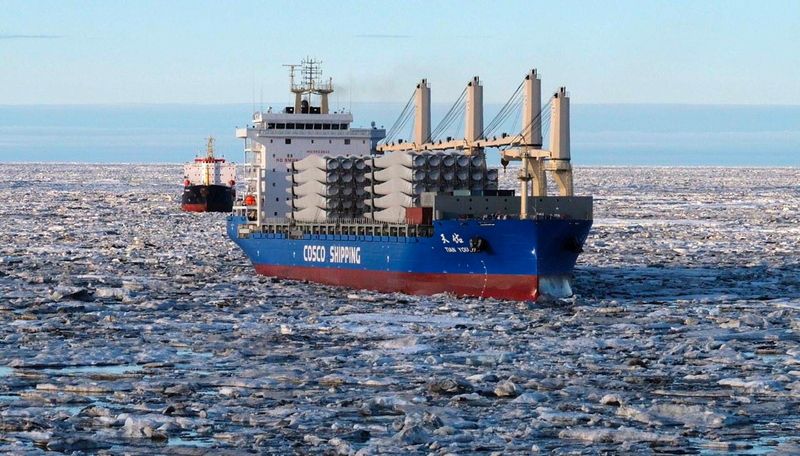 It was the vessel’s first voyage through the Arctic, and the first ever transit shipment via the NSR between China and France, Mer et Marine informs. On board were 63 pieces of equipment, some of them up to 70 ton heavy, among them 21 blades for wind turbines. The series of Chinese trans shipments through the Northern Sea Route is evidence of Chinese companies’ commercial interest in the route, Rosatom says. As the four Chinese vessels arrive in European ports, sister ship “Tian Qi” is still breaking its way through Arctic waters. The ship was on 6th September the only Chinese vessel on the Northern Sea Route, data from the NSR Administration show.